After a hurricane, an election, and an amazing hackathon, it’s hard to believe it’s already Thanksgiving. Before we make a quick trip down memory lane, we’d like to give an ENORMOUS THANK YOU to everyone—Jacks, Jills, volunteers, sponsors, partners, judges, mentors, guests and more—who made Hacksgiving a smashing success. If you attended Hacksgiving, we’d really appreciate if you filled out our quick Hacksgiving survey. Enter your email at the end to participate in our drawing for a $25 Amazon Gift Card. Your feedback is infinitely valuable and lets us continue to learn and iterate giant water slide. Thank you! 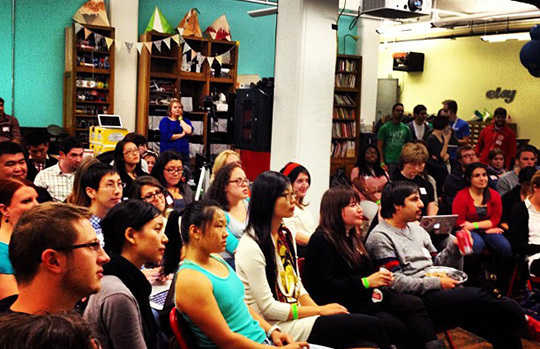 We’re thrilled to announce that Hacksgiving was 51% female. You know what else is 51% female? The United States. Coincidence? Probably not. Here at Hack’n Jill, we believe equal representation is the first step in building better products. We’ve set a new standard for the hackathon community, and are extremely grateful for everyone’s help in getting us to this point. We’re looking forward to helping other communities and events achieve the same ratio. We hosted Hacksgiving at Etsy Labs in Dumbo, and we told lots of jokes, took funny pictures in their free photo booth, spent the night at NYU Poly, and ate amazing ice cream and donuts the size of our faces. We also hacked. Check. Out. These. Projects. It was a tough decision for the judges, and for all of us, but here are the winners. To see all 18 submitted projects, check out our Hackerleage page. Thank you again to all our sponsors: Etsy, Microsoft, Pearson, Behance, Yodle, Twilio, SendGrid, Redhat, StackOverflow, Spotify, Mashery, 10gen, and Thoughtworks. 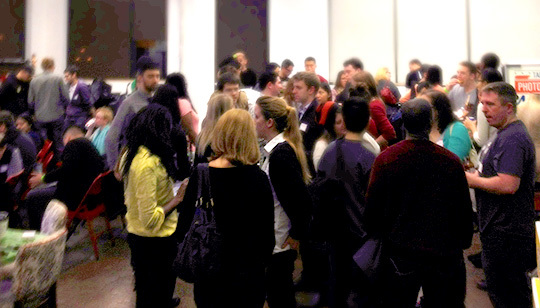 Thank you again to all our partners: Control Group, Girl Develop It, and New York Tech Meetup. 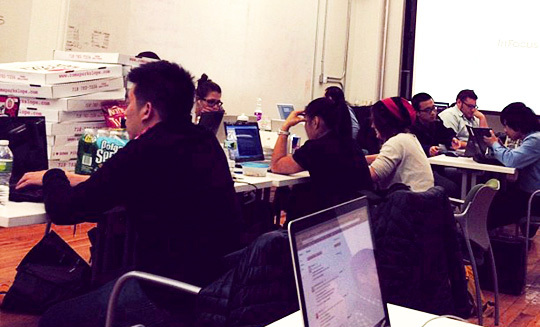 Thank you again to NYU Poly for the overnight space. Thank you again to all our volunteers and mentors. Thank you again of course to all our fantastic Jacks and Jills! Hacking is sweeter with free Phin and Phebes ice cream. Hack’n Jill continues to grow because of you. Have any pictures from the event? Write a recap blog post? Send them our way and we’ll post them. We’ve added event photos on Facebook and Instagram. Tag yourself! Stay tuned to Twitter and our newsletter for updates on future events and activities.